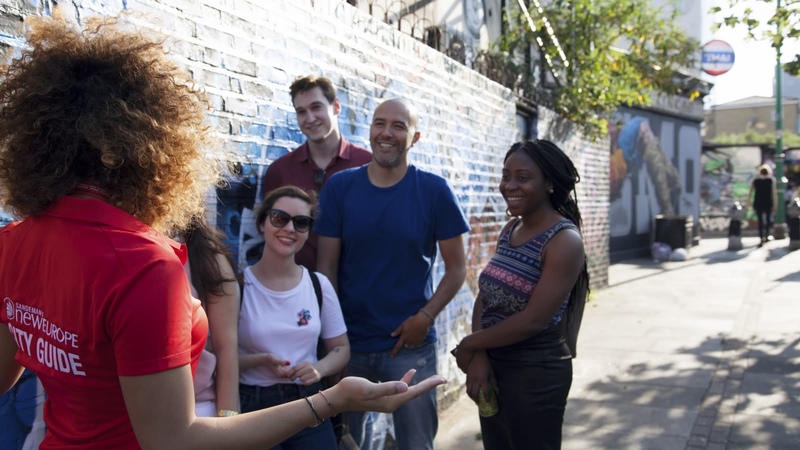 On this 2.5-hour walking tour, your local guide will take you further into East London to discover street art, anti-gentrification movements, Cockney culture and more! The London Street Art Tour meets under the clock tower at Liverpool Street Station and finishes near Shoreditch High Street Station. Away from the shiny palaces and postcard-perfect London landmarks, London’s East End is where the city’s rebellious streak was born and still lives. 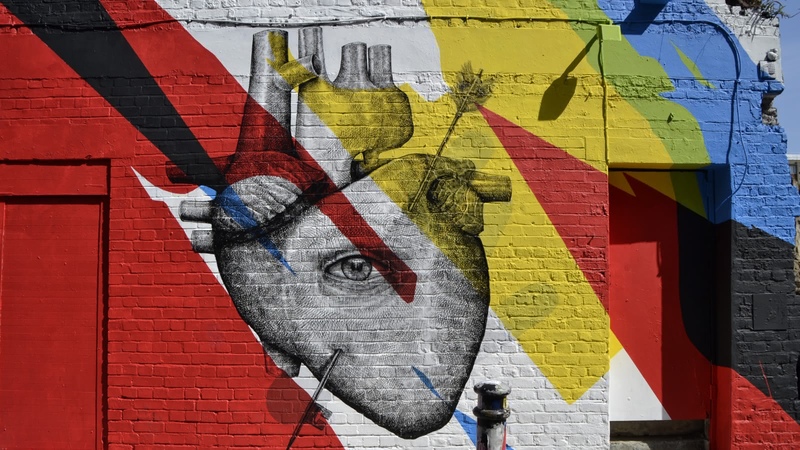 On this 2.5-hour walking tour, you’ll see where radical thinkers and social reformers have lived, where street art adorns the walls of the city, and where people from all different walks of life come together. 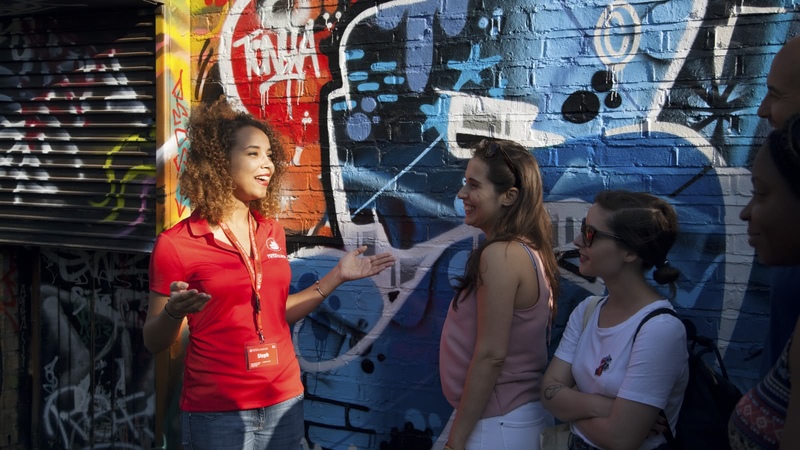 Your local expert guide will walk you through the vibrant and multicultural Whitechapel area, telling you about all the people who made East London home. You’ll hear about major East London events that have arisen from this melting pot, such as the 1936 Battle of Cable Street, when anti-fascist demonstrators clashed with Metropolitan Police. 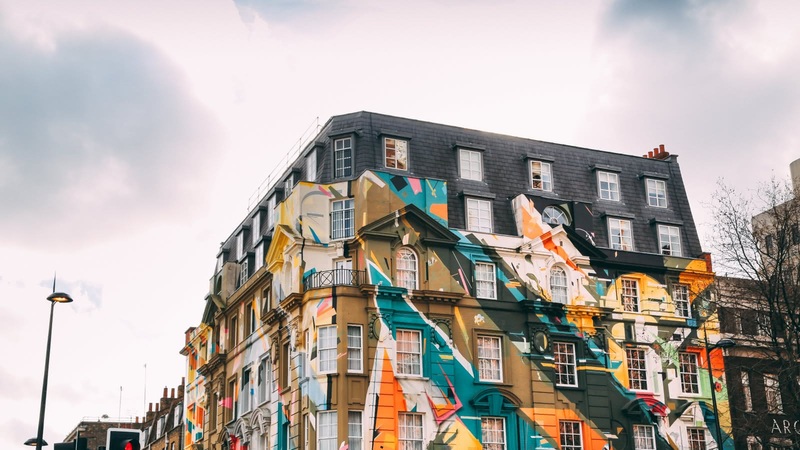 From the immigrant generations to the Cockney culture, from gangsters to residents battling gentrification, London’s East End is as colorful as the street art on its buildings. 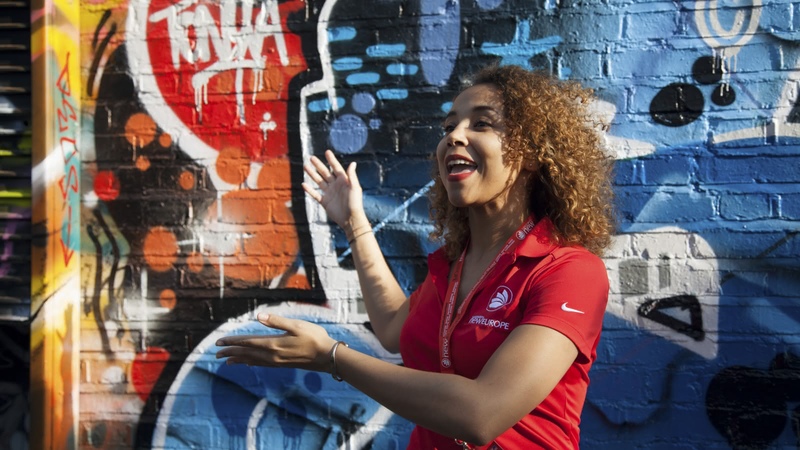 What you’ll see on the London Street Art Tour is not pointless vandalism – it is street art representing the voice of the people. 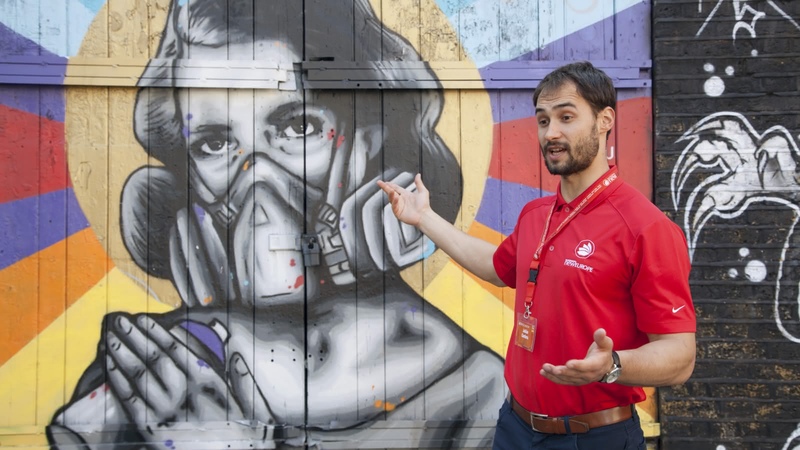 However, while some tours just scratch the surface of pointing out the street art, we put it into context, giving you an insight into what was happening in the world when it was created. Don’t just see London’s East End – understand it. What a great tour! 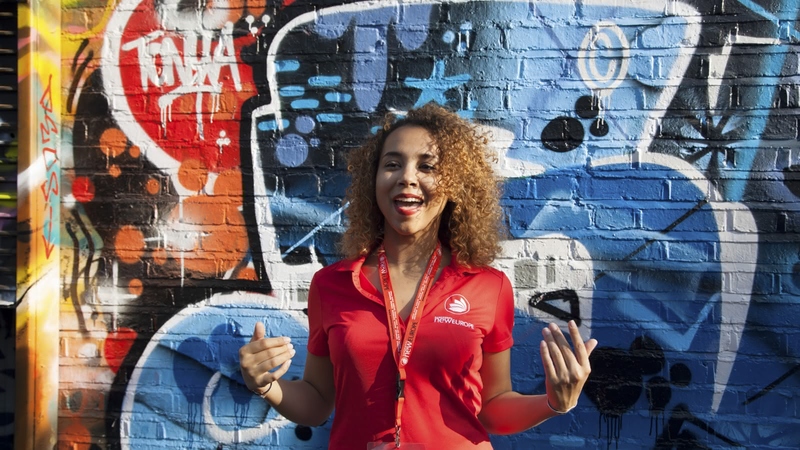 Becky has a passion for street art and the East End, and it shows. 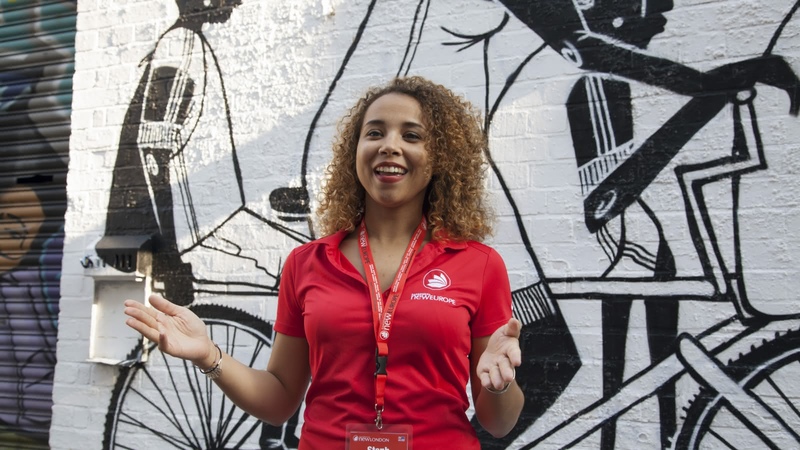 In 2½ hours she connected the history of the East End, what is currently going on in the community and how the street art reflects that. Amazing! Took the alternative London tour with Lars on Saturday, starting at Liverpool St station, taking in parts of the East End and finishing in Brick Lane. Lars was really engaging, entertaining and very knowledgeable. Well worth the 3 hrs and would definitely recommend. Paulina was our guide for the London Alternative Tour which is a walking tour of London's East End. Paulina was very informative and entertaining and took us to many of the East End's interesting spots. I would highly recommend this tour. What an interesting and nice journey through east London with our guide Trevor Smart! I loved the tour, he showed us so many easy-to-overlook details of the city and the really cool streetart and history! I had an alternative tour with Ivo in London, and it was amazing. He new everything about the places we were visiting and he showed the love for those places. Thank you! !